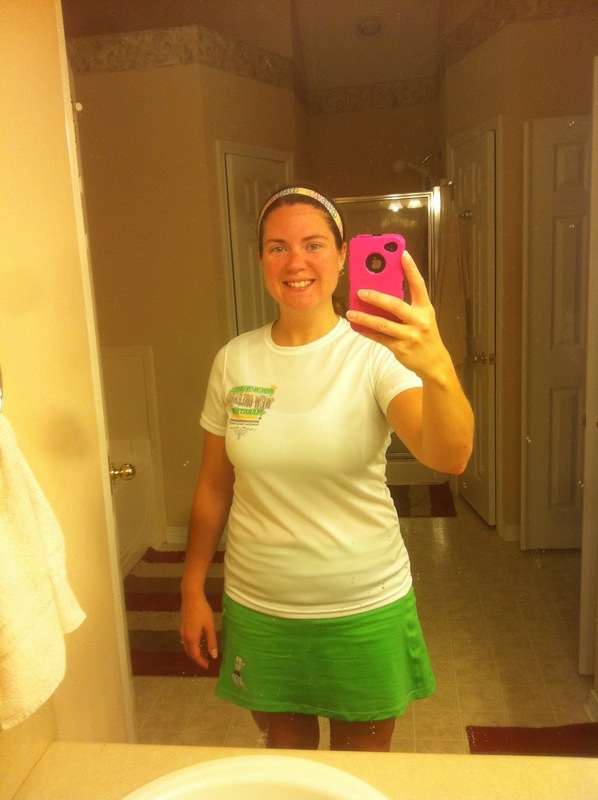 Day 4 of #RWRunStreak! I think getting up early is killing me more so than the running. I hate getting out of bed!!! This morning's mile felt great! 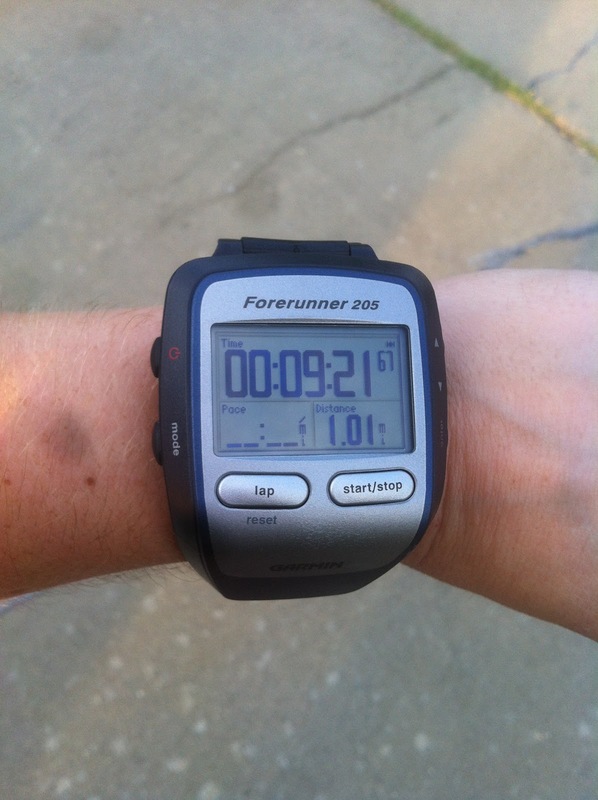 I was even able to push myself some...my best pace was 8:03! Now yes I probably only held that pace a tenth of a mile lol! Of course I know if I was running for distance I wouldn't even attempt this pace. 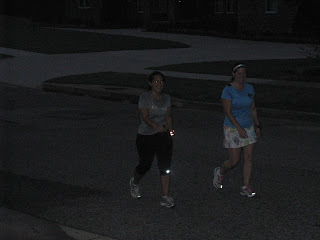 But I'm hoping doing some speed work with these streaking miles will help me get a little faster! I read an article online yesterday from Runner's World Magazine that talked about eggs being one of the best foods for a runner. I ALWAYS crave eggs after a long run! During my first full marathon training, my sweet hubby always made eggs for me when I got home from those super long runs. It seems to be what my body needs after tons of miles. Well, reading this article makes me understand why I crave eggs! The article says there are "five reasons to crack one open:"
1. "TO SLIM DOWN." Yep I like this one!!! 2. "TO PROTECT (YES, PROTECT) YOUR HEART." I'm always for whatever will help my heart! 3. "TO FIGHT INFLAMMATION." Oh I really love this! Especially when you are running long distances! I need all the help I can get to keep my muscles healthy! 4. "TO MAINTAIN BONE STRENGTH." I love this too! Because as women we are more prone to brittle bones and my granny had osteoporosis so I really need to take care of my bones. 5. "TO KEEP YOUR VISION SHARP." I know how important it is to see...I starting wearing glasses in the first grade. I got Lasik done 11 years ago...best thing I've ever done! But I want to keep my vision as sharp as it can be! So eggs basically ROCK! Go read the Runner's World article yourself for more detailed explanations behind their five reasons to eat eggs. QOTD: Do you crave anything after a long run? On another note...is anyone watching the new mini-series the "Hatfields and McCoys" on The History Channel? I'm usually not interested in "western" type stuff but my hubby had to watch it! I didn't pay much attention to it the first night. But last night he told me I had to watch it with him. He caught me up on the story (which I have the first night recorded on my DVR so I can go back and watch it) and I started watching with him. Let me tell you I am hooked! And a little shocked that it's a true story! Wow! So much violence! 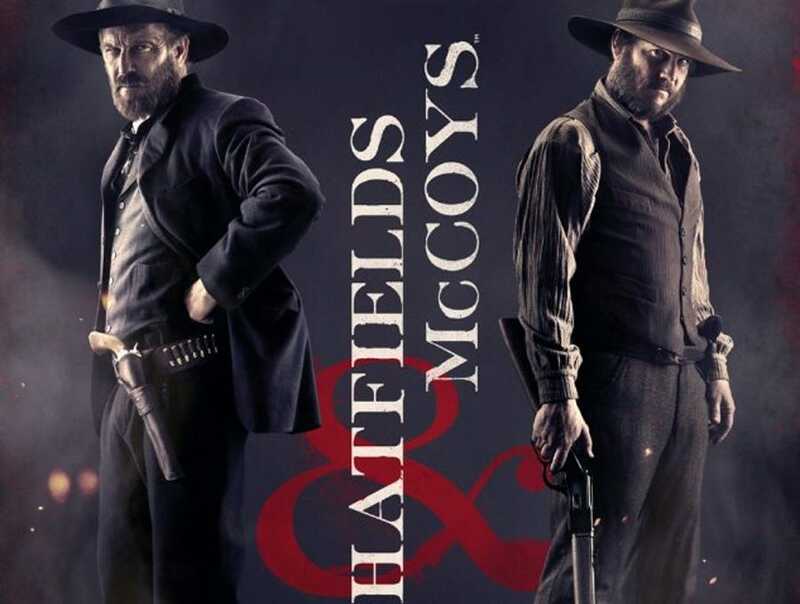 QOTD: What do you think of the show "Hatfields and McCoys?" Let's face it...it's summertime and therefore it's HOT outside! I live in the south so it's super hot! Our lows are (if we are lucky) in the 70's and highs may be in the 90's but feel like they are in the 100's. 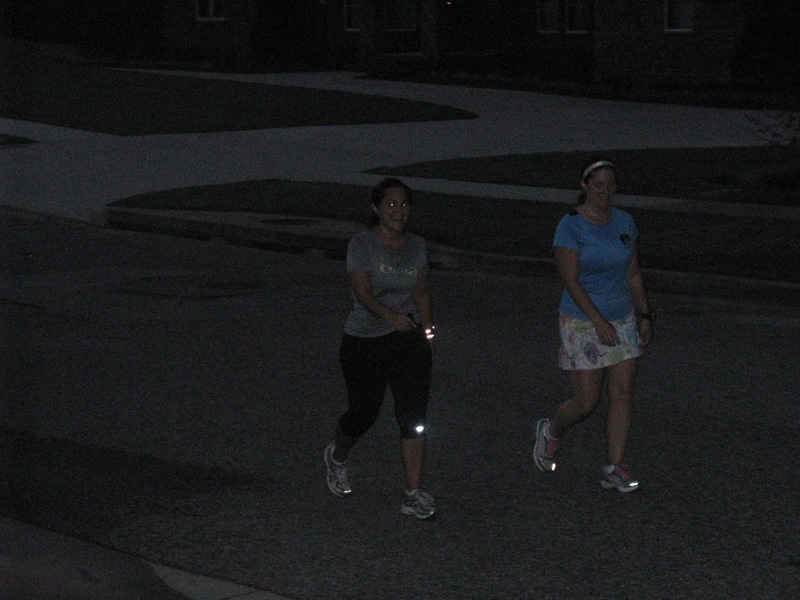 So running during this time of year can be risky if you don't follow some tips. These are MY tips/opinions and what I do to help beat the heat. Because I do NOT want to end up like this guy! 1. HYDRATE! HYDRATE! HYDRATE! Drink plenty of water! Since I run mostly in the morning, I make sure to drink plenty of water the day BEFORE I run. Don't try to cram it all in right before you run because it's not going to have time to hydrate your body AND you will end up having to pee during your run lol! I am usually hydrated so well the day before that I only drink a sip of water before I run. 2. Run in the early morning. Although I hate getting up early, I love running early. It's the coolest part of the day since the sun has not been out and it's a great way to start your day. 3. 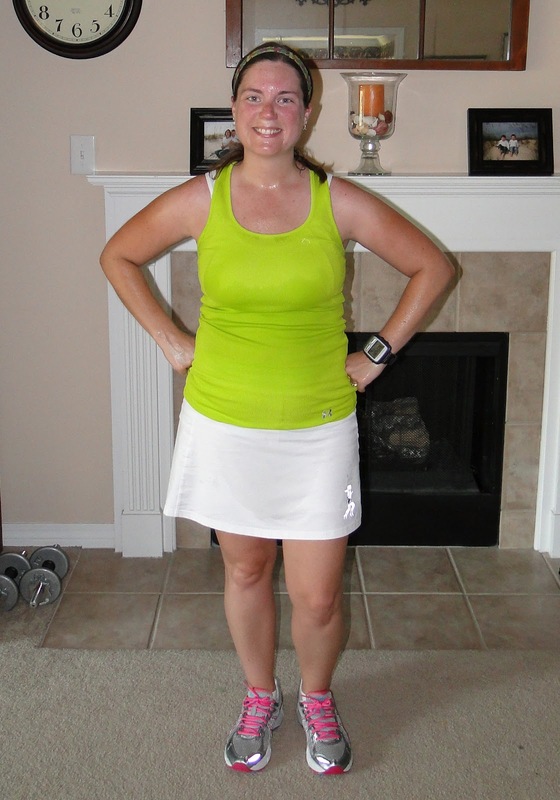 Wear light colored, loose fitting, and sweat wicking clothes. No black in the summertime because the dark colors absorb the heat. Loose fitting clothes will help you feel the breeze as you run. And sweat wicking clothes keep the clothes from sticking to your body. There's nothing worse than being hot and having your clothes stick to you. 4. Don't cover your head completely. You lose a large portion of heat through your head so if you are going to wear a hat, wear a loose fitting one or a visor with the top cut out of it so the heat can escape your body! 5. Slow down. Yep that's what I said. The heat puts a strain on your system...your heart beats faster in higher heat because it's pumping more blood to help your body cool off. Just face the fact that you will not be able to run as fast in the summertime as you can in the cooler seasons. You will have plenty of time in the fall to speed up! 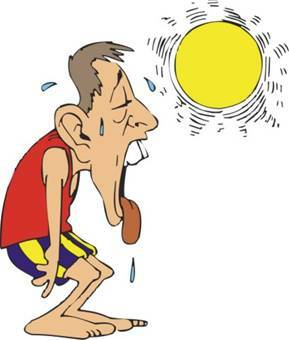 QOTD: What are your tips for running in the heat? 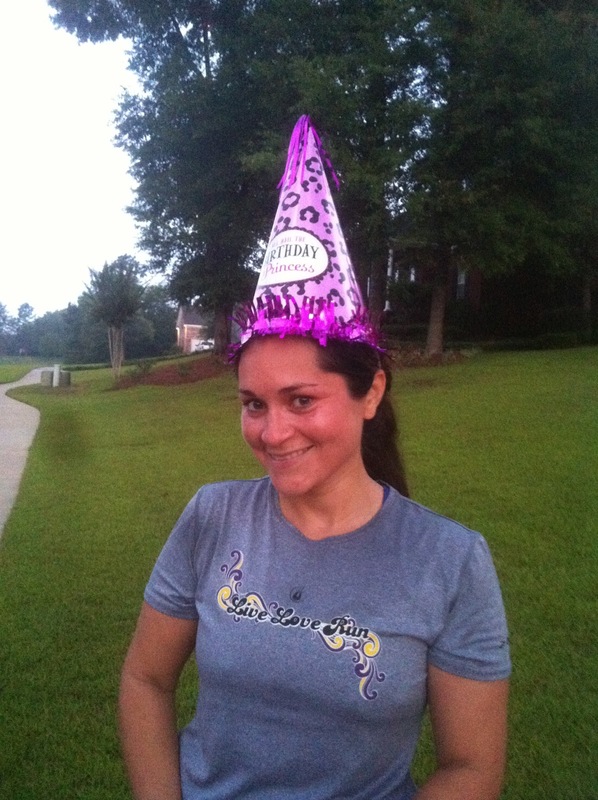 Day 2 of #RWRunStreak...DONE! Running on tired legs is a little more difficult. I am a stickler for having a day of rest in between my runs so this running streak is really going to be a challenge for me. The first half of the mile my legs were pretty tired. This could have been because I was pushing them to go faster than normal since I knew I only had to run 1 mile. But the last half of the mile was great! Maybe because I knew I was almost done? Ha! 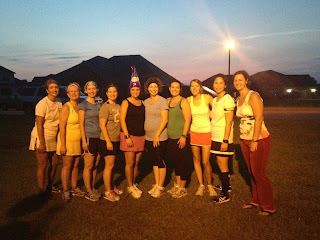 I ran around 6:25 AM and it was sooo much better than yesterday's 8 AM! The main thing I am dreading about this streak...not getting to sleep in. This girl loves her sleep lol! After my run I came home and stretched, rolled, and then did some core work on my exercise ball. I did abs, squats, push ups, back extensions, tricep dips, and plank. And then it was breakfast time! We are currently out of my hubby's oatmeal so he cooked eggs this morning! AND left some for me! I LOVE it when that happens! So I had scrambled eggs with a slice of whole wheat toast with jelly. Yum! So choosing to run at 8AM in this heat was not a great idea. It was way too hot! I'm going to definitely run earlier in the mornings this summer. On the positive side, I saw a cute little bunny rabbit on my run today! I think I scared him though with my super fastness (he he) because he hopped away pretty fast. Wish I would have had my camera. I also ran a new route today....with hills at the end. It was great running a new route but with the heat and then hills on top of that...it was super tough. By mile 4 I was completely spent and had to push myself mentally for the last mile. But I did it, it's done, and it was the first day of the Runner's World Run Streak where I will be running at least 1 mile every day from now until the fourth of July. I hope I can keep the streak going! Here's proof of how hot it was this morning! I came in from my run so sweaty that it looked like I had just gotten out of the shower! Yuck! I also think I got a little too hot today. I came in exhausted and immediately grabbed a towel so I could lay down on the floor under the fan. I usually don't get that hot...but then again in the summertime I usually run before the sun comes up. I was just trying to sleep in today...but hey sleep is overrated right? Happy Memorial Day everyone! I am so thankful for the men and women who sacrificed so we can have freedom! Ok it's not what you think! Not that kind of streaking...RUN streaking!!! With the boys and me out of school for the summer, I want to make sure I stay on top of my fitness. I already maintain my goal of running at least 3 times a week...but would love to add more to that. And let's just say it out loud....the only thing that keeps me sane is RUNNING! So beginning Memorial Day, May 28th, I will be participating in the Runner's World Summer Running Streak 2012! What does this mean? It means I will be running at least one mile per day from Memorial Day to Independence Day (July 4th)! That is 38 days of consecutive running! Can I do it? YES I can!!! So....do you wanna join me??? Of course you do!!! Let me know if you are planning to do it by leaving me a comment below! 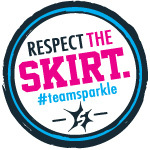 And keep the people at Runner's World up to date on your progress by using the hashtag #RWRunStreak on twitter! Ok I know I usually just talk about running on this blog but I HAVE to talk about the American Idol finale last night! I have LOVED Phillip Phillips from the very beginning and am soooo happy he won!!! Usually the ones I like do not win. And his single "Home" is AWESOME! I love it and it's my new favorite song! And the end where he went to his family and hugged his mom was so touching!!! Loved it! Who was your favorite on American Idol this season? I haven't gotten up early for a mid-week run since the marathon. 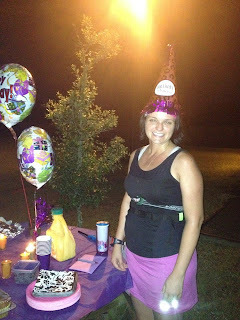 But today I wanted to get up for my friend Katrina...it is her birthday and the plan was to run one mile that led her to a surprise breakfast picnic! She was surprised and it made it all worth getting up early! There were a lot of us up early to celebrate Kat's birthday with her! Hmmm. Not sure if I want to EVER do that again...or if I want to do it again so it doesn't beat me!!! Lol! 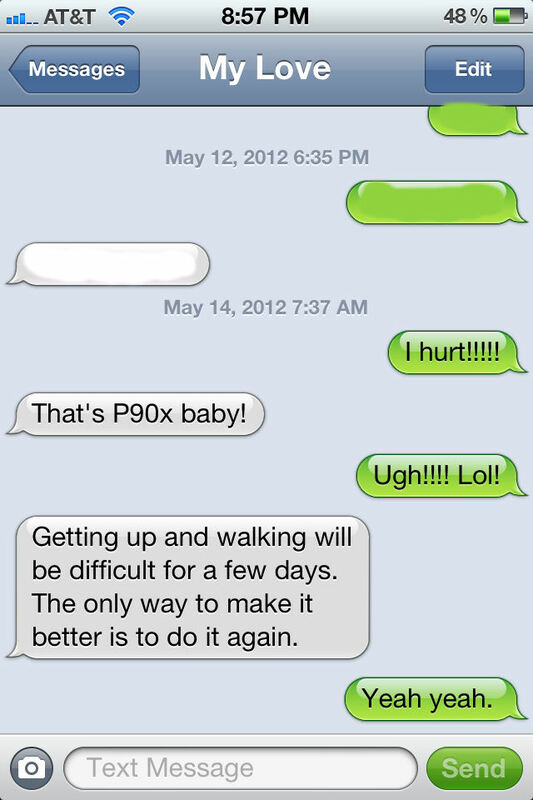 So my husband is in his second week of P90X. If you do not know what this is...let me just say it is an intense workout and afterwards you will be unable to move lol! My hubby has been trying to get me to do just the ab portion with him...I finally relented. OMG!!! Most of the moves I couldn't even do! Like...I so cannot lift my body off the ground without pushing off with my legs or elbows. 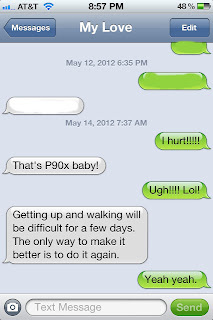 And in P90X Ab Ripper...your legs are in the air most of the time while you are doing some kind of ab exercise. My legs (and abs) were burning so bad and were like jello after that 10 minute workout! Not sure if this was a fun part of my mother's day lol! Trying to revamp the blog a bit. I get tired of the same thing over and over lol! I added a new signature, a new background, and new header. What do ya think? Who knows? I may change it again knowing me lol! What a FABULOUS run!!! I needed that one! The plan was to do 3 miles but I felt so great that I ran 4 instead! Everything was great about this run...the temp was in the 70's (instead of 90's like on Tuesday), the sunset was gorgeous, and my new shoes are finally starting to feel good! I needed to run today...my son has been sick and so I have been stuck in the house for the past two days. It felt great to hit the road and forget about sickness, fever, and medicine for awhile. Thankfully I think my son is on the mend...I just wish he could go back to school tomorrow. The doctor said he had to wait until Monday...which means I will be missing his Mother's Day Brunch at his school AND my youngest son's Mother's Day Tea at his school. I hate to miss those things but I guess I'm doing what a mother does...taking care of her sick child. I wouldn't trade it for anything in the world! But it was important for me to take care of myself too tonight with a good run! 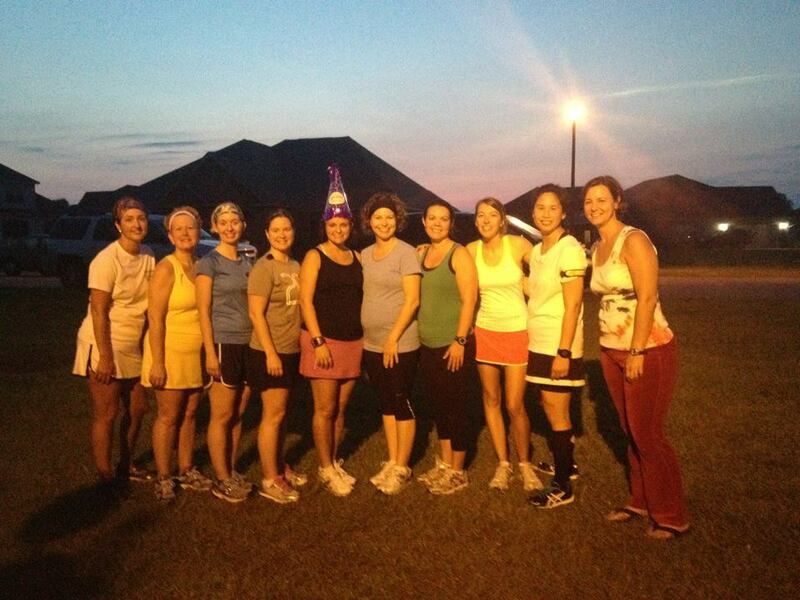 It's been forever since I've run with the girls! It was great seeing all of them again! It was pretty humid and foggy this morning...made it a little hard to breathe today. But I accomplished the 5 I set out to do! It wasn't my best run but it's done! The new shoes seemed better today. I loosened the laces and that helped my tingly feet. My left foot felt like it may start tingling but it didn't. My right hip is, however, still hurting. Remember when I had this pain a few weeks ago? I continued to run and it seemed like it was getting a little better. Then I took the two weeks off after the half. I could barely feel any pain during those two weeks of no running. But after Tuesday nights run, the pain began again. I am hoping I can just run through it like last time and it will just get better. I'm crossing my fingers because training starts again in June for a half in September and then Disney Marathon training starts after that. So I need my body to be pain free! Lots of rolling is going on in my house right now!!! :-) After this morning's run, we wrote on the walls of Paige's house that is being built...we wrote several bible verses blessing her and her house! So excited for my friend! And here is a picture Paige took of me...and my "famous pose" as Paige called it lol! I haven't ran in two weeks! I took recovery time after my half marathon. 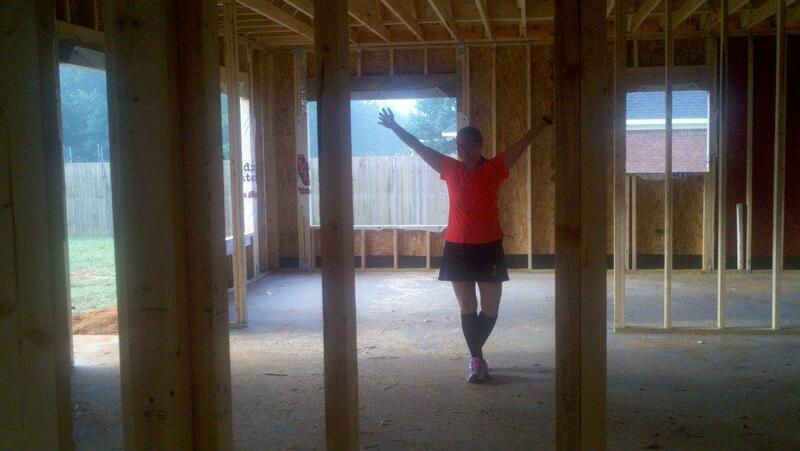 I was so ready to get back out there and run! I also got some new shoes...hate getting used to a new pair of shoes! My feet went a little tingly at first but I think I may have had the laces too tight. It also feels like the left shoe is a tighter on my foot. Hmmm. Hope the shoes are ok. The run itself felt awesome though! So glad to be back at it!! !